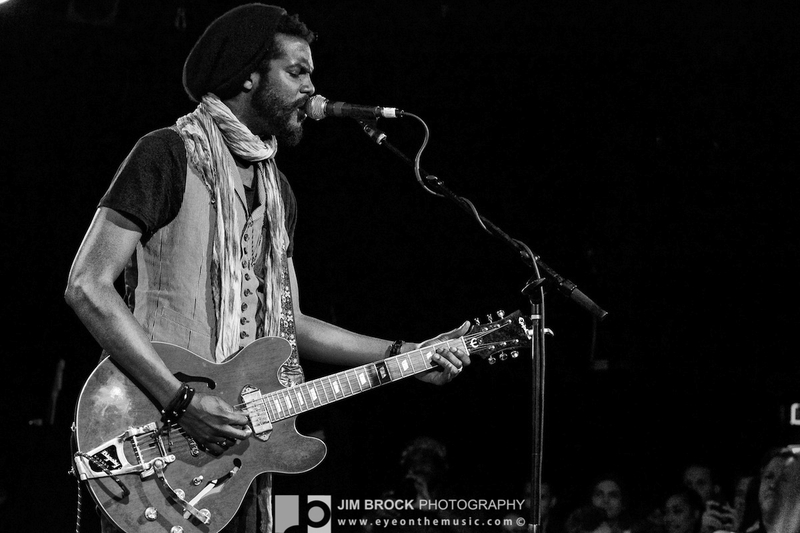 Gary Clark, Jr. and the world are a good match. When Clark, Jr. tears into “Don’t Owe You a Thang” live, your hair’s messed up, your car is blocks away and you’re wondering what just happened. Heck, these days, it’s not such a bad idea to toss the joint and wake the hell up. Not that Clark, Jr. is the blues equivalent of smelling salts (with that falsetto? ), but when he lets it rip, anything that’s not nailed down will blow away. I think I like that. The ascension of this unassuming slinger from Austin is both loud and clear. In the span of what seems like minutes (but has been more then a few years) he has gone from the clubs of his hometown to performing at the White House, playing alongside the Stones and keeping rarified company at Eric Clapton’s Crossroads Guitar Festival (not once, but twice). Like the best blues talents, Clark. Jr. is largely stripped of artifice but he also mashes in Hendrix psychedelia, Texas stomps and last call slow dance croons. And then there’s that take no prisoners delivery. Authentic is good and it’s reassuring people get that. Clark, Jr. had a number of EP’s under his belt when his long-awaited, first full-length major label (Warner Brothers) project Blak and Blu was released last October. The album, which has been critically praised (making Rolling Stone’s top 50 releases of 2012), features a few tunes covered on previous EPs and touring staples such “Bright Lights”, Hendrix’s “Third Stone From the Sun” and “Things are Changin’”. It also showcases a more produced vibe that undoubtedly will reach a wider audience. Now, Gary Clark, Jr. is no stranger to big stages, with frequent slots on the Festival circuit including Coachella, Bonnaroo, the New Orleans Jazz and Heritage festival and Voodoo Experience, to name a few. Having caught him at Jazz Fest (where he will appear again in a few weeks) and Voodoo last year, the prospect of stuffing all that sound into a club the size of the Roxy Theater was daunting. But Clark, Jr. has already played a few of these club shows in Los Angeles recently, including three November dates at the Troubadour and a February date at this same Roxy Theater. This Roxy Theater date was fresh on the heels from his Crossroads 2013 and as Clark, Jr. and band took the stage just after 10 pm, they were clearly primed. It’s rare when a show peaks during the first fifteen minutes – and this is zero knock on what would come after – but that’s exactly what happened at The Roxy last week. Clark managed to quickly transfix the attention of the overwhelmingly chatty scenester crowd on the center of the stage with a bustling and nearly fifteen-minute version of his blues-rock monster “When My Train Pulls In,” a roaring dirge tantamount in sheer power and irresistability to any of the tracks contained on lists like this. While there were several moments after the opening track that approached the majesty and palpably electric feeling that resonated right out of the gate, this was the moment that stuck out when it was all said and done around 12:30. 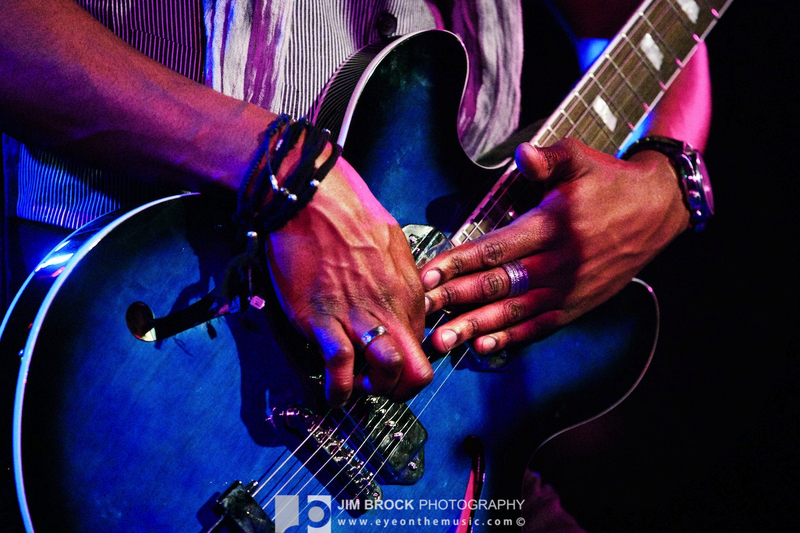 While celebs like Kelly Rowland, The Dream, Marlon Wayans and Russell Simmons were in the house, the young Mr. Clark and his arsenal of guitars were the center of gravity in the Roxy at all times throughout this unforgettable Tuesday night gig.